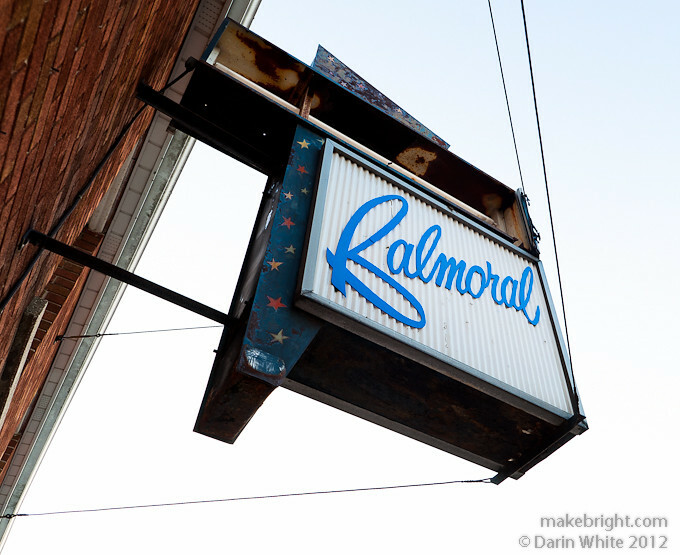 Visiting my hometown of Point Edward last weekend, I discovered the Balmoral Tavern closed. Opened in 1878, and serving drinks for well over a hundred years, I suppose it was a good run. Though I only went there twice, the “Bal” and it’s iconic sign are wrapped up in my childhood mental model of the forbidden and mysterious. This entry was posted in photography and tagged 1shot, Point Edward, sign. Bookmark the permalink.